The DAAP is the national umbrella organization of DeMolay Alumni Chapters nationwide and abroad and its members are DeMolays who have attained the majority age of 21 years. These Senior DeMolays continue to owe allegiance to the Supreme Council, Order of DeMolay of the Republic of the Philippines, and adhere to the principles and ideals of the Order of DeMolay. The DAAP was established by virtue of Edict No. 02 (Amended), dated June 22, 1988, issued by the first Grand Master of the Supreme Council, Order of DeMolay of the Philippines, the late Dad Macario R. Ramos, Sr. The DAAP operates by virtue of the Revised DAAP By-Laws of 2012. 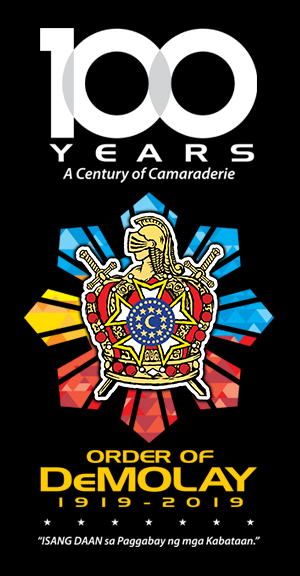 The DAAP envisions a dynamic and functional network of DeMolay Alumni Chapters, nationwide and abroad, bonded together by the principles and ideals of the Order of DeMolay and aims to be an active and potent force in the growth and development of the youth, in particular, and Philippine society, in general. The DAAP is governed by the Board of Directors, which provides for policy directions and oversight functions to the operations and activities of the national organization. The National President is the Chief Executive Officer of the DAAP and he is supported by the Executive Vice President, Jurisdictional Vice Presidents (Northern Luzon, Central Luzon, NCR, Southern Luzon, Western Visayas, Eastern Visayas, Northern Mindanao. Western Mindanao and Southern Mindanao), Secretary, Treasurer, Auditor, PRO and Chaplain, in managing and administering its programs, projects and activities. The DAAP is under the jurisdiction of the Supreme Council, Order of DeMolay of the Republic of the Philippines. Individual Senior DeMolay applies to become a member of a DeMolay Alumni Chapter while the DeMolay Alumni Chapter petitions to become a duly recognized member of the DAAP. The Chapter President heads the DeMolay Alumni Chapter and he is supported by the Vice President, Secretary, Treasurer and Auditor. 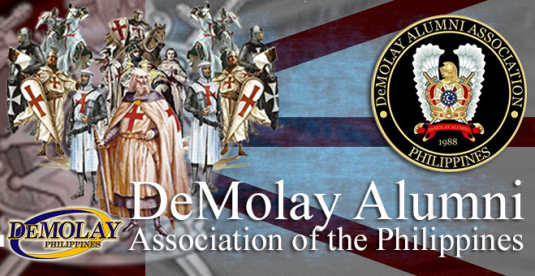 There are 57 DeMolay Alumni Chapters nationwide and abroad (as of October 31, 2014). The DAAP National Office is located at the 2nd Floor, DeMolay Service and Leadership Center (formerly PDYC), #1440 San Marcelino St., Ermita, Manila.